Dr. Don Groot was the founder of the Groot DermaSurgery Centre (now Nakatsui DermaSurgery Centre). He was a dermatologist and retired in 2014 after 34 years of meeting the skin care needs of many of the citizens of Edmonton and Alberta. His long time colleague, Dr. Thomas Nakatsui, has taken the helm and continues to work with a team of dedicated, experienced individuals to make the Nakatsui DermaSurgery Centre a centre of excellence in dermatology. The atmosphere at the Centre is one of caring, concern, and professional competence. The staff is attuned to the needs and concerns of the patient from the first phone call through to the final visit. Patient coordinators are available to answer inquiries, schedule appointments and organize patient visits. The nurses, some with advanced degrees and Advanced Cardiac Life Support certification, are highly skilled assistants to our doctors. The Centre is a certified Non-Hospital Surgical Facility (to learn more about this special certification, click here). We are dedicated to being at the forefront of new developments in dermatologic and cosmetic surgery of the skin. The laser equipment at the Centre is state of the art including lasers for cosmetic facial rejuvenation, scar revision, removal of pigment, removal of vascular (blood vessel) abnormalities, and hair removal. Botox injections and dermal fillers are used in combination with medicated creams, microdermabrasions, and laser resurfacing to maintain and improve one’s natural beauty. CoolSculpting offers noninvasive solutions for unwanted fat. 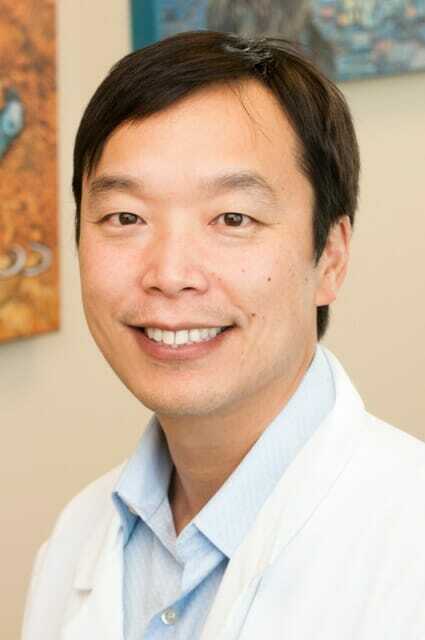 Dr. Thomas Nakatsui is a board certified dermatologist at the cutting edge of hair restoration. Through the use of advanced follicular unit transplantation he is able to achieve natural rejuvenated hair lines for his patients. This wide range of treatment alternatives allows us to meet the specific needs of the patient to achieve maximum benefit with minimum risk. Dr. Thomas Nakatsui is the medical director of the Nakatsui DermaSurgery Centre, a certified non-hospital surgical facility. He holds a Fellowship in Dermatology in Canada and is also Board certified in the United States. Dr. Nakatsui is skilled in all areas of dermatology including laser surgery, fillers, Botox, and hair transplantation. He completed his medical training and residency in Dermatology at the University of Alberta and received additional training at several Centers of Excellence including Harvard, the Johns Hopkins Medical Centre, the Massachusetts General Hospital, and the Mayo Clinic. In addition, he was trained personally by Dr. Groot since July 2000 in the use of lasers, Botox, and other treatment modalities. Dr. Nakatsui has won numerous awards and scholarships. Among them, he was accepted into the prestigious Alpha-Omega-Alpha Honor Medical Society and received the Board of Governors’ Prize in Medicine (1st in class). Dr. Linda L. Smith joined the Nakatsui DermaSurgery Centre in June of 2015. A Certificant of the College of Family Physicians of Canada and a graduate of the University of Ottawa Faculty of Medicine, Dr. Smith trained in family medicine at the University of Alberta. She is skilled in all areas of treatments regarding acne, verrucae (warts), rosacea. She also performs Votiva treatments (replacing our older ThermiVa ™ technology), a non-invasive, non-surgical procedure for women seeking treatment for vulvovaginal laxity/rejuvenation, prolapse, atrophy, stress incontinence, and overactive bladder. 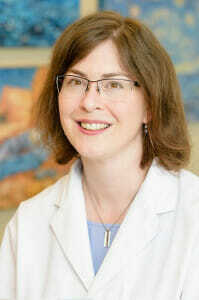 She is also an Assistant Clinical Professor in the Department of Family Medicine at the University of Alberta. Thank you for hearing my complaints and more importantly my concerns. I left your office feeling that I had been heard and respected. I can’t tell you how good that felt. – V.H. Getting a hair transplant was one of the best decisions that I made. For me it definitely improved my appearance, and my level of confidence. I would highly recommend this type of cosmetic surgery to anyone who is concerned with baldness. It is painless and very affordable. I have an older brother, who is two years older than I am and unfortunately has the same hairline. After my hair transplant, I look ten years younger than he does. – A.K.